Someone took pics of me working in a session. I had no idea these were taken until after the fact. See below for the results. These pics were taken with a regular digital camera in another healer's home. There was nothing unusual going on in the room that day to account for the interesting floating objects. I call these objects orbs. 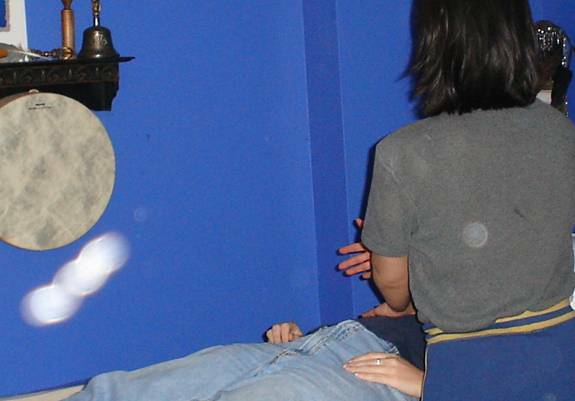 In the complete set of photos, there are many more orbs than shown here. They are everywhere, all over me, and the client. 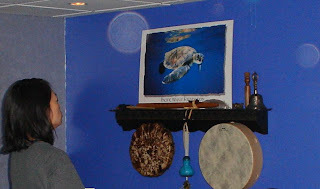 Some of the orbs look translucent, stationary and floating. In other words, from pic to pic, they don't seem to move much. Other orbs show up a very bright opaque white, and seem to show definite movement. In size, the orbs seem to range from the size of melons (over my head) down to the size of golf balls. And they range in color. In the complete set of photos, some of them look golden, while others are more silvery white. Out of curiosity, on my computer, I blew up these pics with high magnification. The orbs looked like beautiful rainbow spheres. Pretty neat. Seriously, though, as far as what these orbs are, my feeling is that they are energies from the angelic realms. I think they are there to help, when we call them in for assistance. They are very nice to have around, especially in healing work. 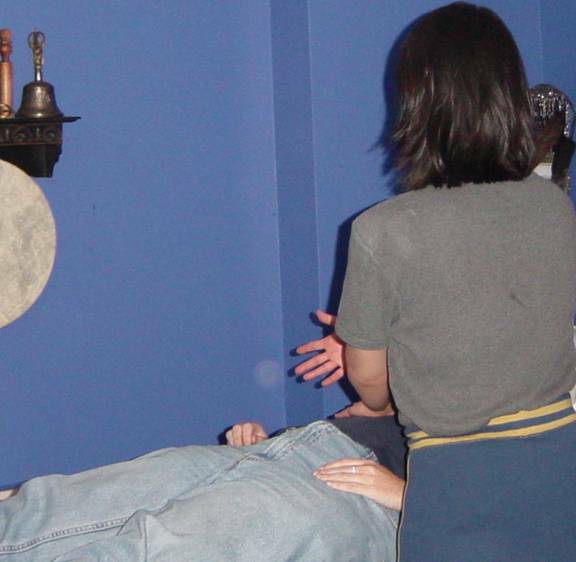 In this situation, this client was in a lot of physical pain. I remember moving a tremendous amount of heat. I think the orbs helped in the work. The client said she felt much better after the session. Hi Sherae, so nice to hear that you had a great experience with energy! Sometimes I create orbs and other times orbs just show up on their own in the room like this. I think they reflect that a lot of energy is moving. It's part of the mystery.